The collection centers around Midwestern characters who, for one reason or another, have taken the wrong fork in life’s road. The close reader will find connections between stories and will be surprised by its shocking finish. 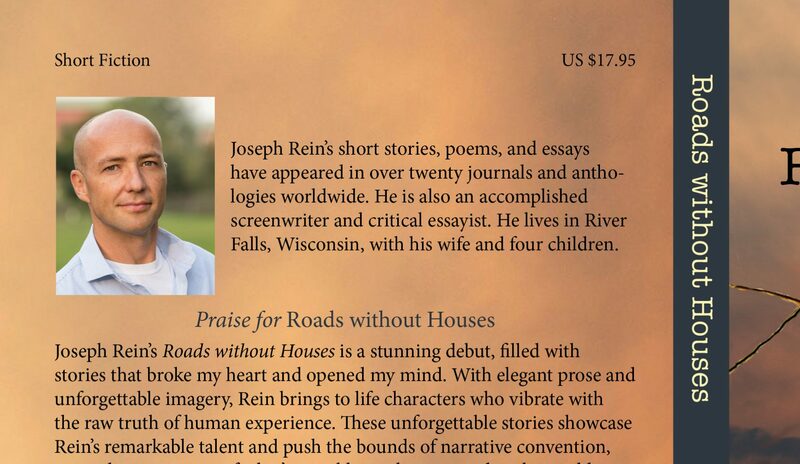 Joseph Rein’s Roads without Houses is a stunning debut, filled with stories that broke my heart and opened my mind. With elegant prose and unforgettable imagery, Rein brings to life characters who vibrate with the raw truth of human experience. These unforgettable stories showcase Rein’s remarkable talent and push the bounds of narrative convention, expanding our sense of what’s possible on the page and in the world. 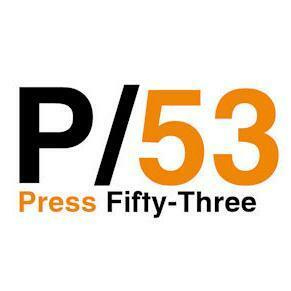 This is a collection of short fiction, but every word of it rings absolutely true. In these exactingly wrought stories are real people facing real challenges in pursuit of real dreams—all crafted by an author of very real talent. 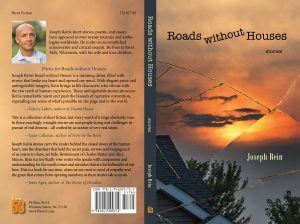 Joseph Rein’s stories carry the reader behind the closed doors of the human heart, into the chambers that hold the secret pain, sorrow and longing each of us yearns to share, yet hide. Reminiscent of Charles Baxter and Alice Munro, Rein is a terrifically wise writer who speaks with compassion and understanding for the small crimes and mistakes that are the hallmarks of our lives. This is a book for our time, when we are most in need of empathy and the grace that comes from opening ourselves, as these stories ask us to do.